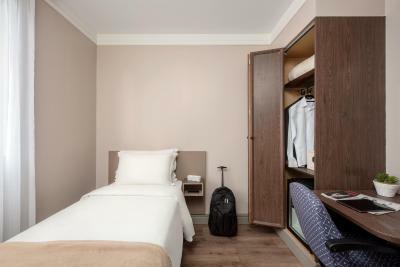 Lock in a great price for Intercity Nações Unidas – rated 8.3 by recent guests! The location is good, walking distance to shopping and business area. Close to big supermarket and restaurants too. The room is spacious enough with all you need. The breakfast is fine. The staffs are friendly. Breakfast was very good, the staff was very friendly. It is a under renovation but it was a very pleasant experience due to have nice was the staff. The room was spacious and very comfortable, breakfast was excellent and the location was perfect for what we were looking for-to escape the Carnival festivities ! Only aspect that could be improved upon was the pool area. Very few chairs and an extremely loud waterfall that killed any conversation. Staff was very friendly and courteous. I would stay there again for sure. Nice, spacious and clear room, excellent breakfast, excellent location, excellent value for money. 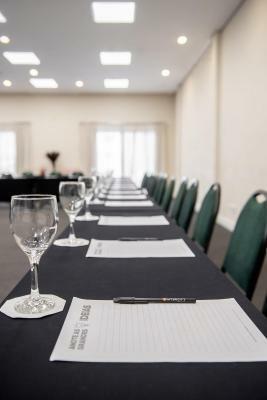 The hotel is greatly located in the hearth of the sorrownding corporate area, rooms are modern and very clean. Bed was comfortable, location is quiet with decent reach to the centre, but a bit far from the airport. Amenities are O.K., but wouldn't classify them as good. Room service was nice and the hotel itself is quiet. 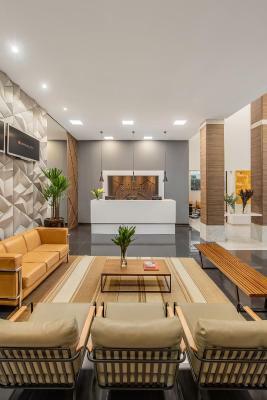 Intercity Nações Unidas This rating is a reflection of how the property compares to the industry standard when it comes to price, facilities and services available. It's based on a self-evaluation by the property. Use this rating to help choose your stay! 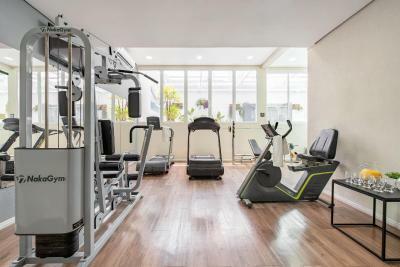 One of our top picks in São Paulo.Located a 5-minute drive from Morumbi Shopping Center, this hotel features an internal, non-heated pool, sauna and gym and offers free WiFi, buffet breakfast and a business center. The United States Consulate is located nearby. 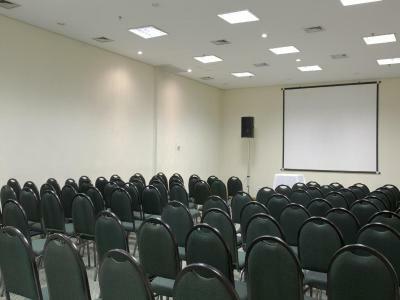 All rooms at InterCity Premium Nações Unidas are equipped with air conditioning. 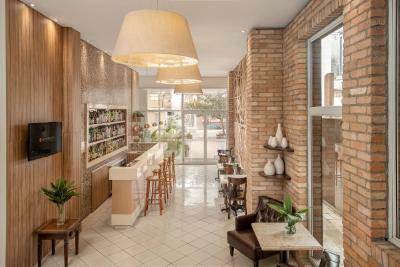 They are tastefully decorated and provide a 32-inch LCD cable TV, a mini-bar and a bathroom with a hairdryer and amenities. 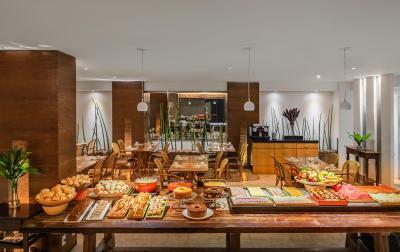 This hotel offers a daily breakfast buffet offers a variety of fresh fruits, breads and cold meats. 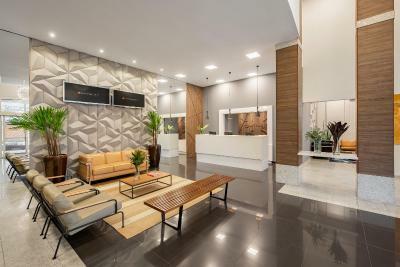 InterCity Premium Nações Unidas is 4.3 mi away from Congonhas Airport. Credicard Hall, Nações Unidas Empresarial Center and Clube Hípico Santo Amaro riding club are all located nearby. Private parking is also provided for a fee. 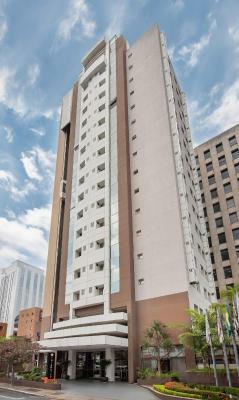 When would you like to stay at Intercity Nações Unidas? Equipped with split air conditioning and free Wi-Fi access, this room contains a 32-inch LCD cable TV, a mini-bar and a bathroom with a hairdryer and an exclusive amenities kit. It provides a queen-size bed, a work desk and an electric safe. This room is located between the 1st and 6th floor. Floor will be chosen during check in. 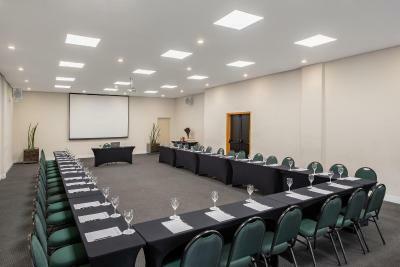 Featuring modern decor and located between the 7th and 10th floor, this room is equipped with split air conditioning and free Wi-Fi access. 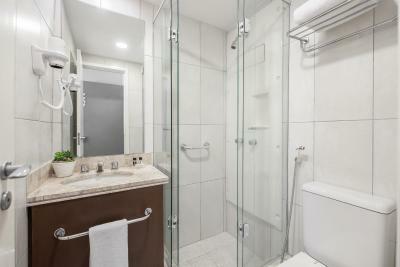 It contains a 32-inch LCD cable TV, a mini-bar and a bathroom with a hairdryer and an exclusive amenities kit. It provides a queen-size bed, a work desk and an electric safe. 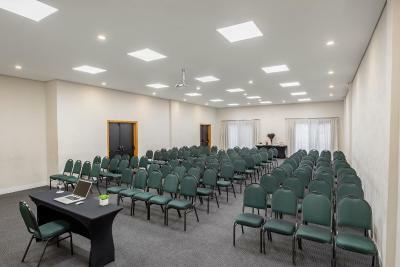 Featuring modern decor and located between the 5th and 10th floor, this room is equipped with split air conditioning and free Wi-Fi access. 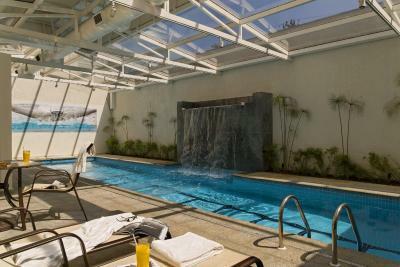 It contains a 32-inch LCD cable TV, a mini-bar and a bathroom with a hairdryer and an exclusive amenities kit. It provides a queen-size bed, a work desk and an electric safe. 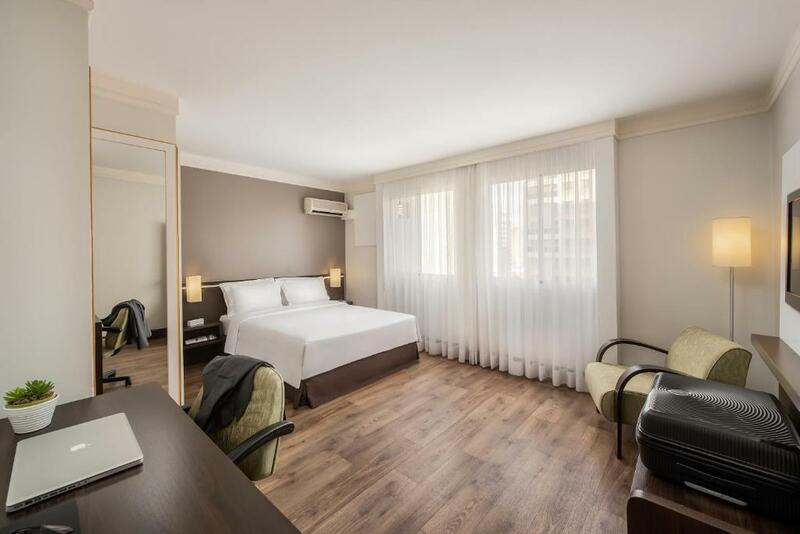 Equipped with split air conditioning and free Wi-Fi access, this larger room contains a 32-inch LCD cable TV, a mini-bar and a bathroom with a hairdryer and an exclusive amenities kit. 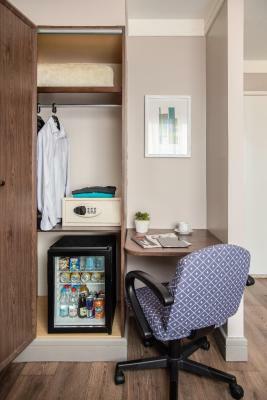 It provides a queen-size bed, a work desk and an electric safe. This room is located between the 11th and 12th floor. 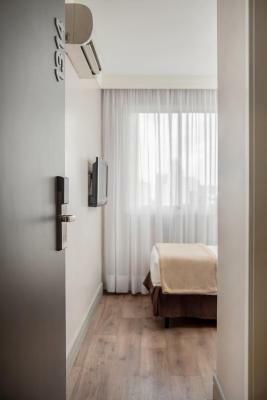 This twin room features a cable TV, air conditioning and mini-bar. This room is located between the 11th and 12th floor. 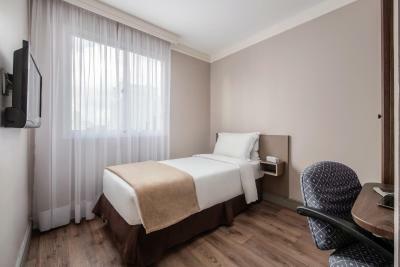 This single room features air conditioning and a 26'' cable TV. 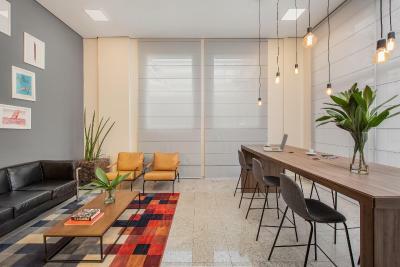 House Rules Intercity Nações Unidas takes special requests – add in the next step! Intercity Nações Unidas accepts these cards and reserves the right to temporarily hold an amount prior to arrival. The hotel reception and lounge were being renovated, a big inconvenience. No computer access. I liked everthing. Very good hotel in town. There was 2 A/C motor at the room which kept turnin on and off over and over again even when the A/c itself from my room was off.... there is a hatch at wall poorly sound insulated.... the room number is 1411. Apart from that the room has recently been renovated which was a plus!!! The gym was closed during my entire 11 day stay. I travel for work regularly, they need to be sensitive to guest needs and offer some options around this. Or announce it ahead of time. Bath towel. It is not so soft. The roon is comfortable, large and silent. the breakfast was not good, the tv was old and far from the bed. The air conditioning was weak. The bathroom is very small -- Air Conditioner very noisy -- room 604 in which we stayed when we returned from BA and Cordoba had too much outside noise from the courtyard. Room 601 was much better. The gym is rather basic and small. 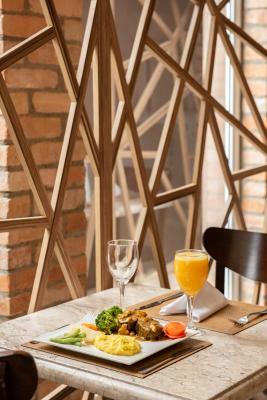 There is no fresh vegetables in the breakfast and the breakfast never changes at all. If u stay a bit longer you won’t like the breakfast anymore.